How to Search This Blog? Use the search button on the right side to look for someone’s name among more than 725 posts I wrote about this RCAF squadron. Use the comment section or the contact form below to write to me. Flowers laid by Maarten and Ronny. Op 19 maart 1945 tussen 14.00 en 14.30 komt er een Spitfire neer bij Landfort, ten Noorden van Megchelen. De Spitfire Mk XVI met het serienummer SM-208 behoorde tot 403 squadron RCAF en was die dag om 13.30 uur met nog 11 toestellen opgestegen van de basis Petit Brogel in België voor een “sweep” (veegactie) in de omgeving van Rheine en Osnabrück. De piloot F/O BYRD rapporteert aan de basis dat hij te kampen heeft met motorproblemen en terugvliegt naar de basis. Ter Hoogte van Dwardefeld, even ten noorden van Landfort wordt hij getroffen door 2 cm Flak. De Spitfire crasht bij Landfort en de 28 jarige F/O Harold Chauncey Byrd komt hierbij om het leven. Hij wordt begraven in een veldgraf bij zijn toestel en op 14 oktober 1947 herbegraven op het RK kerkhof te Gendringen. 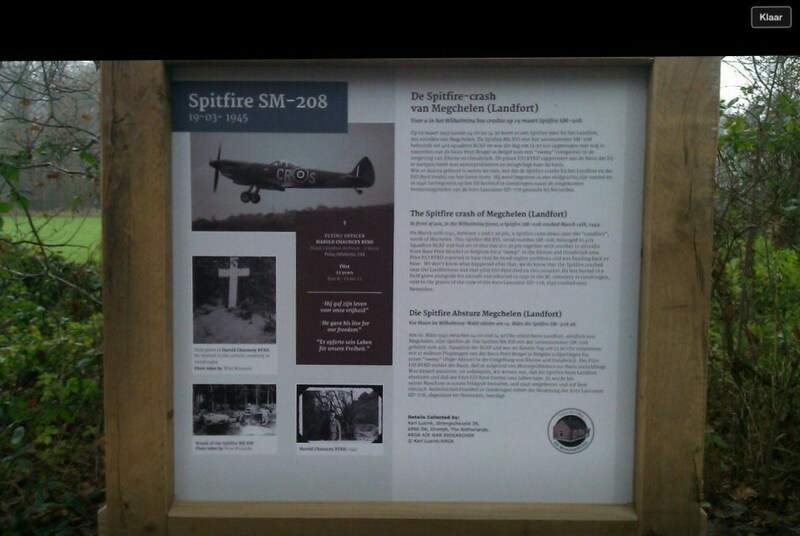 On March 19, 1945 between 14.00 and 14.30 a Spitfire comes down at Landfort, north of Megchelen. The Spitfire Mk XVI with serial number SM-208 belonged to 403 squadron RCAF and was that day at 13.30 hours with 11 more aircraft that took off from the base Petit Brogel in Belgium for a “sweep” (sweeping) in the area of Rheine and Osnabrück. The pilot F/O BYRD reports at the base that he has engine problems and flies back to the base. At the height of Dwardefeld, just north of Landfort, he is hit by 2 cm Flak. The Spitfire crashes at Landfort and the 28 year old F/O Harold Chauncey Byrd is killed. He is buried in a field grave by his aircraft and on October 14, 1947 reburied at the RK cemetery in Gendringen. All I know is that he was a Warrant Officer based at Baginton Airport in May 1942. He was a member of the RCAF 403 squadron and became a POW on June 2nd 1942. I was hoping you had some photographs of him. But this is most interesting about a 403 Squadron pilot. “During the war, my father flew under an alias, Pete Logan. During WW2, my father’s mother and siblings lived in Bonneville, France, and my father’s superiors felt that his family could face retaliation should the Germans ever learn of my father’s French roots. With regards to your July 12, 2018 posting of the 403 squadron in front of a Spitfire (the colourized version of the photo with the men’s names). The man in the second row and second from the right is F/O K.P. Marshall. This is how Barry contacted me about a Spitfire pilot he knew when he was an air cadet. He saw the sticky post and sent me this message. I understand you may have some information on a friend of mine. His name was Kenneth D. Windsor. He was a pilot with 403 Wolf squadron. I believe his rank was sergeant. He was a member of the caterpillar club as he was shot down and had to bail out. He passed away 10 years ago and I find myself wanting more information as he was my drill and range instructor with the 191 West Winnipeg Rotary Air Cadet Squadron. As a footnote he received a back injury when he bailed out and wore a backbrace all the time I knew him. In 2013 Dean Black had shared some pictures of Spitfire pilots he had met. One of them was Kenneth Windsor. Not knowing anything about him I got looking for more information on the Internet to learn more about him. I was lucky to find a Website which had paid homage to pilots and Belgian and French people who had helped them to escape. Many of these people gave their lives so these pilots could fight again. The story is on this Website which is written in French. The story was so touching that I just had to translate it so Barry would know more about his drill and range instructor when he was with the 191 West Winnipeg Rotary Air Cadet Squadron. Evasion report SPG 3314/1367 (complete). The Spitfire takes off from Kenley around 12:27. Almost half an hour later, while flying at 8000m, he was attacked above the target by an Fw190 fighter, which pursued him north. It seems he was shot down north of Hesdin by the Hptm. Wilhem-F. Galland of Stab II/JG 26. The Spitfire was hit and Windsor was hit by one of its debris, temporarily lost consciousness and regained consciousness while at an altitude of about 4600 m. The fuel supply was cut off and a fire broke out. He decides to head north in order to return to his base. 10 minutes later, his engine shut down and he abandoned his plane at about 4600 m. During his parachute descent, he saw his Spitfire crashing and exploding. Windsor twists his right ankle when he lands. He buried his parachute and Mae West and crawled south for nearly 2 km. Near a wood, he hears voices speaking English and seeming to be looking for him. He decides to be cautious and does not contact them. He will rest in another wood and remove the badges from his uniform, keeping them in a pocket. Wearing ordinary shoes, he walks until about 11 p.m. and reaches the village of Ledinghem where he crawls into the stable of a farm where he falls asleep. On the morning of June 21, Windsor, who did not speak French, approached a farmer and showed him his RAF wings. The man shakes his hands, gives him food and some civilian clothes. At around 10 a.m., he set off again in a southerly direction. He walks all day and arrives around 9 p.m. at the village of Bourthes where he spends the night again in a stable. The next morning, June 22, he stops at a farm to ask for a drink. He was given something to quench his thirst, but people seemed unfriendly to him and he continued on his way. He arrives in the evening in Bimont where he shows his RAF wings to a farmer, HAJARDEZ, about 45 years old, who feeds him and with whom he spends the night. The next day, June 23, HAJARDEZ took him to the house of the mayor of Wicquinghem, farmer Gaston PÉROY, about 50 years old, who gave him food and other civilian clothes. During his stay at PEROY, Windsor saw Robert Barckley there. Windsor and Barckley stayed with PÉROY until June 27, when Lucien PÉROY, the mayor’s son, about 20 years old, and Michel Peroy’s brother, guided him to Norbert and Marguerite Fillerin’s house in Renty, where he met Barckley. 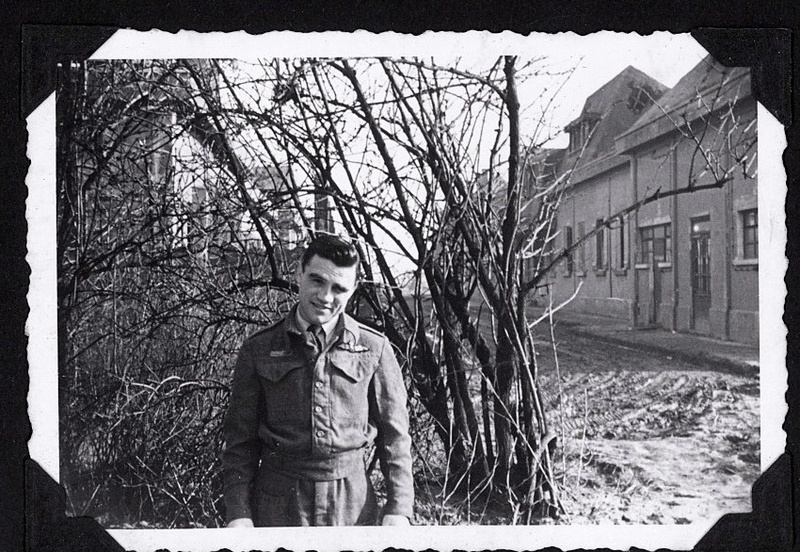 During his stay at FILLERIN, Windsor was photographed and then received new fake identity documents. His escape was therefore organized, as was that of Barckley, with whom he stayed until July 21. Rosine THERIER, wife of London’s Sydney Witton in captivity, confirms that she has transported Windsor and Barckley from Mr. DIDIER’s house in Arras to Paris and handed them over to Jacques Le GRELLE. Émile DIDIER and his wife Madeleine CARON lived at 22 Rue de Bapaume in Arras. Subsequently arrested on 24 July 1943, they were both in the “Nacht und Nebel” convoy of 4 May 1944 bound for the Saint-Gilles Prison in Brussels. Deported to Germany, Émile DIDIER, born in 1889, died at Gross-Rosen camp on 15 January 1945 and his wife Madeleine, born in 1892, died at Ravensbrück camp in February 1945. On page 14 of his E&E 63 report, Bernard Kœnig states that he leaves Paris by train on 22 July from Montparnasse station to Bordeaux with “Alexandre” (another alias of Jean-François NOTHOMB) and William Murphy. Koenig adds, without naming her, that another lady (Rosine WITTON-THERIER) is on the same train, guiding a Typhoon pilot, who is Bob Barckley. Windsor stays until August 1 at 16 Rue Royer-Collard, Paris VIe with a 55-year-old ex-pilot, Mr. Paul ROUTY and his niece Jeanne, 30, who speaks perfect English. Paul Louis Camille ROUTY, born in 1883, had completed his service in 1914-1918 as captain, Commander of the MF 1 Squadron of the 2nd Air Group. He died in Saint-Briac-sur-Mer on September 30, 1960.] Windsor is staying with the ROUTY until August 1st and then with a doctor, Dr. Pierre HABREKORN at 6 Avenue du Parc in Vanves. On Sunday, August 8, Windsor was taken to a subway station by Jean-François NOTHOMB (“Franco”) and met Thomas Slack. They are eagerly awaiting Franco’s return and end up attracting the attention of users. NOTHOMB finally joined them and guided Slack and Windsor to a railway station where they took the 22-hour train to Bordeaux. On the train, the two airmen received a new identity card. In Bordeaux, they take the train to Dax. They met Thomas Hunt and William Aguiar, two Americans who had travelled at the same time without NOTHOMB informing each other. They rent bicycles in Dax and reach the Bayonne exit around 6 p.m., where they go to a café where they spend the night. It is at Pierre ARRIEUMERLOU’s house at 12 Quai Augustin Chaho, along the Nive. On the 10th, they drive to Saint-Jean-de-Luz where they arrive around 7 p.m. and leave their bicycles at the station. A guide took them on foot from Saint-Jean-de-Luz to Ciboure, where the bridge over the Nivelle was guarded by a German sentinel. They pass safely to the other side and eat in thickets outside Ciboure where they meet two other Basque guides (including Florentino GOÏKOETCHEA) and a Frenchman. The first guide (NOTHOMB) leaves them there. This is the 50th Comet Passage. They crossed the Pyrenees between Biriatou and Irun around 3 a.m. on the 11th, alone with the Basque guides. They go to a farm and eat there. They then take the tram to San Sebastian and stay three nights in a garage, at Bernardo ARACAMA’s house at n°7, 5th floor on the left, Calle Aguirre, Miramon district in San Sebastian. On the 14th, a consular car took Windsor, Aguiar, Hunt and Slack to Madrid. They stay there until the 18th. The vice-consul of Seville then came to take them by car to drive them to the Atlantic coast, which they reached on August 19 in the middle of the morning. The four escapees embarked on the 20th on the “Borgholm”, a Norwegian merchant ship, and were hidden under the propeller shaft. On the 20th, the boat leaves for Gibraltar, which it reaches on the 21st. Kenneth Windsor left Gibraltar by plane on August 23 (probably with Slack, Hunt and Aguiar) and arrived in Whitchurch, England the next day. He was interrogated by MI9 on the same day, 24 August 1943 in London. 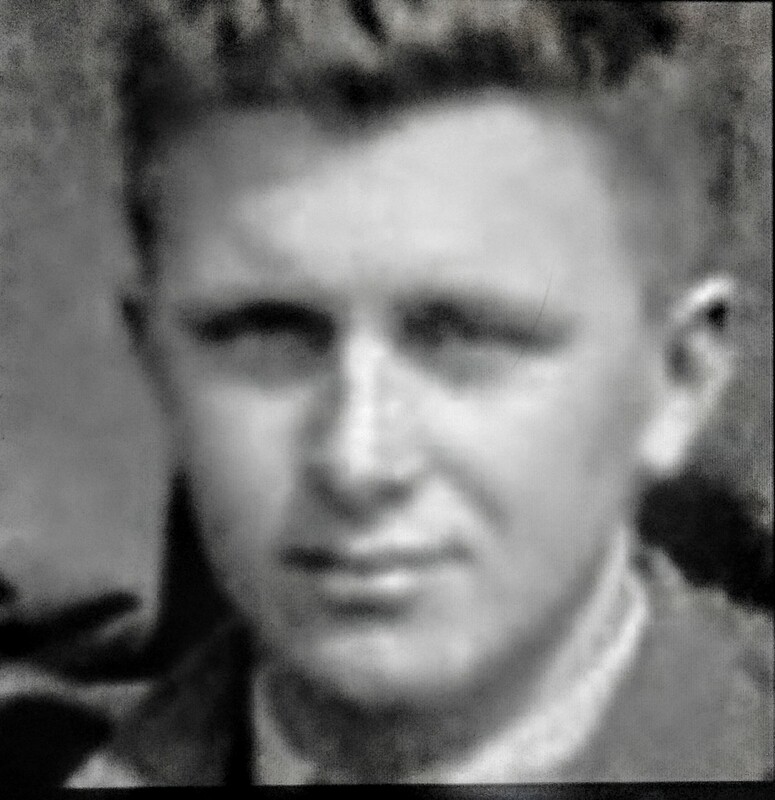 After his return to Canada after the war was over, Kenneth Windsor served a few more years as Chief Instructor for the Royal Canadian Air Force Cadets of No. 191 Squadron.